All horse care-excep­t veterinary­. This is not a permanent grazing situation. This is temporary or repeating care for your horse while you need it. Experienced, through a life of horse companions,we can provide genuine love and care for your horse or horses at your place, or ours, depending on your circumstances and needs. We have 3 of our own horses ( a Mini and 2 Shetlands) Sheep and 2 Cats, and have plenty of room for your horse as a temporary solution if necessary- or can provide care at yours if you need a holiday, you're sick/busy or other reasons. *Bookings going fast- so please call us in advance if possible. *We can include the care of your other animals if needed. *Rates negotiable depending on length and extent of care. Hourly, Daily or Weekly rates. Ballpark rate-*$100pwk for your horse to stay at our place and $5.00 per wheelbarrow of manure collected. Rates for one horse and more are negotiable . Standard charge out rate $25p/h/or visit, + petrol- all negotiable. * We would love to get to know your horse, and are very patient, and willing to listen to them. * You are welcome to come and view our property prior to a booking, or we can come to yours to meet up. Key words: Equestrian, Horses, Miniatures, Shetlands, Standardbreds, Thoroughbreds, Quarter Horses, Horse Breeds, Geldings, Mares, Stallions, Ponies, Caring, Horse minding, horse feeding, feeding, company, Veterinary, Cats, Dogs, Pets. 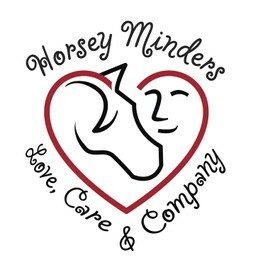 horseyminders@gmail.com, visit website at horsey-minders.com, or phone as below. I recently moved from Auckland to Canterbury where I knew no one. Robyn kept my horse on her property for 3 weeks while I searched for permanent Grazing. She has a lovely spot and I felt totally confident that I was leaving Tristan in capable hands. I have now found somewhere permanent to keep Tristan but I will definitely be using Horsey Minders in the future when we go on holiday etc. Thank you!! Horsey-Minders cared for my 4 horses plus mare and foal while I was in the UK for a month. Robyn did a fantastic job caring for them and sending me regular updates on how they were doing. It was great knowing they were so well cared for while I was away. I would definitely recommend Horsey-Minders to anyone and will certainly use them again when I next go away. Horsey-minders looked after our lifestyle block while we were away in Australia for 7 days. We have a stallion, gelding, and 3 mares, as well as chickens and cats. The animals were all happy when we arrived home and we had regular contact each day with pics and texting. Good for peace of mind. It was nice to come home and find everything all in order. I would recommend Horsey-minders and will be using them again. Their pricing is also affordable. Thanks Horsey-minders. Robyn Lees: Thanks K. It was an absolute pleasure to look after your crew. Very pleased all of them were happy and relaxed- especially the chickens! We used Horsey-Minders to look after our mini pony at our place, while we were away for the weekend. They provide a great, reliable service, with regular updates and even photos! Highly recommend to all! Will definitely use them again. Thanks! Robyn Lees: Thanks Ang- What an absolute delight your little fellow is. We are looking forward to caring for him in the future.